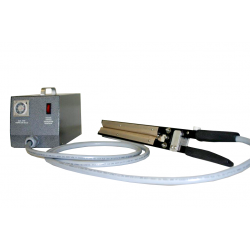 Gramatech manufactures and supplies the hand held heat sealer for packaging. Gramatech has adequate heat sealing models for a wide variety of polyethylene, laminated foil and other barrier films. The design of the hand held bag sealer is standard and light weighted hence a user can easily move and seal a bag quickly. 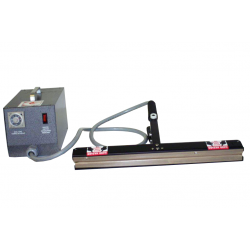 Gramatech impulse sealer is the most ubiquitous packaging machine to seal bags in general industries or small industries. 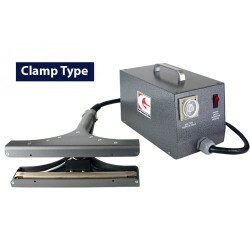 These sealers are available at affordable price and easy to operate. 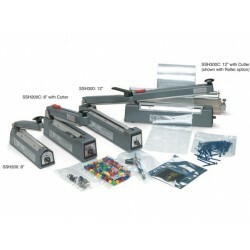 We have plenty of designed hand held heat & bag sealer that comes in various sizes from 6” to 26”.